VIN SCULLY IS MY HOMEBOY: Mark McGwire is the new Dodgers hitting coach? Mark McGwire is the new Dodgers hitting coach? 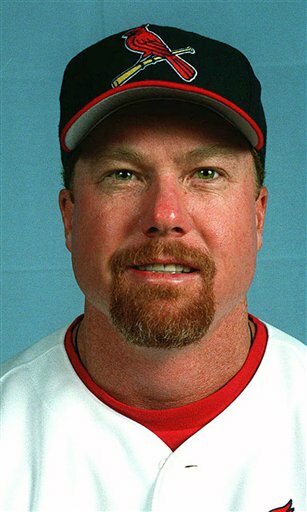 Mark McGwire, who has served as Cardinals hitting coach for three seasons under two managers, has informed the club that he intends to accept a similar position with the Los Angeles Dodgers, sources familiar with the situation told the Post-Dispatch this afternoon. Though a deal between the Dodgers and McGwire is not considered final, McGwire has told the Cardinals that he does not anticipate accepting their offer of a contract extension. The club last week tendered offers to all coaches except bullpen coach Dyar Miller. The staff's contracts exprired Oct. 31. McGwire is leaning toward accepting the position with Dodgers manager Don Mattingly's staff because of geography. McGwire and his family live in Orange County and McGwire has long emphasized the role his wife and children play in career decisions. I've heard good things on Mac as a hitting coach. Good luck! That would be great news if its true! one of the biggest cheater, deniers, stonewallers ever - coaching for my beloved Blue !!!??? Say what you will about, 'alot of guys cheated back then'. true, but that doesn't excuse him. when they introduce him at Dodger Stadium and you hear one guy booing - that would be me.